Lira gave me hope and empowered me, says Brenda Mtambo. After 10 years as an integral part of the choral collaboration – and as a backing vocalist for artists such as Hugh Masekela, Thandiswa Mazwai, Sibongile Khumalo, Judith Sephuma and Lira – Brenda Mtambo has claimed her own space as a solo artist. In 2013 she released her debut album, Inspired, through Universal Records and her strong, yet smooth-as-honey vocals are accompanied by inspirational and soulful lyrics about love and overcoming life’s challenges. Growing up in Umlazi, Durban, she was surrounded by music while living with her grandparents and 15 other relatives. She remembers the house being filled with the melodic sounds of her grandfather strumming his guitar while her uncle’s sang and played the gramophone. 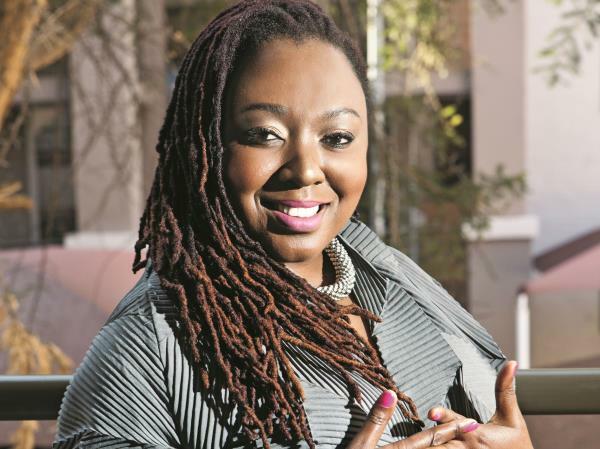 At the tender age of 20, she formed a band called Sisters of Joy with Mbali Mkhize and Hlengiwe, and when the ladies heard about auditions for Joyous Celebration at the Durban Playhouse, they went. The talented youngsters made the cut. It was Brenda’s springboard to stardom. “I’ll never forget my first performance with Joyous Celebration. I sang completely off-key and eventually lost my voice. I was so disappointed that I’d let my fear get the better of me,” Brenda says. Brenda wasn’t the only person who wasn’t impressed with her failing vocals. After that performance, Joyous Celebration founder Lindelani Mkhize placed her in the choir where her voice would blend in with the rest of the group as opposed to standing out on its own. It was during a year away from Joyous Celebration that Brenda found another gig, singing back-up vocals for Lira. “We travelled the world together and I learnt a lot about the music business,” Brenda says. Brenda then returned to Joyous Celebration, this time with more confidence. She was given more solos in the group and even wrote a song, Say More Jesus, which appeared on the album Joyous Celebration 14. For the next five years Brenda travelled with the group while leading the choir and doing bookings for Joyous Celebration.